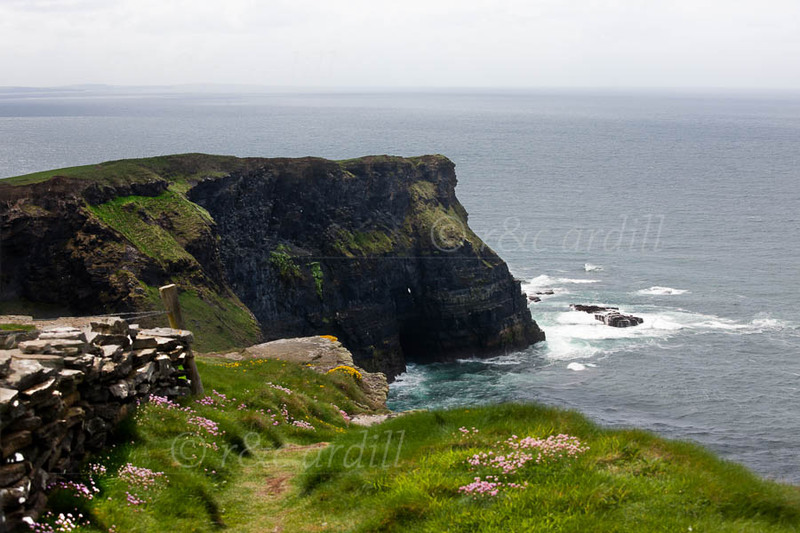 A view of the southern part of the Cliffs of Moher at Hags Head, looking south. The main cliffs are behind us. Sea thrift and other wild flowers are plentiful and beautiful in this part of Clare.